The Finder Darts Masters 2015 were held from December 4 till 6. After eight years of sponsorship by Hotel Zuiderduin the tournament gets a new title sponsor in Finder. 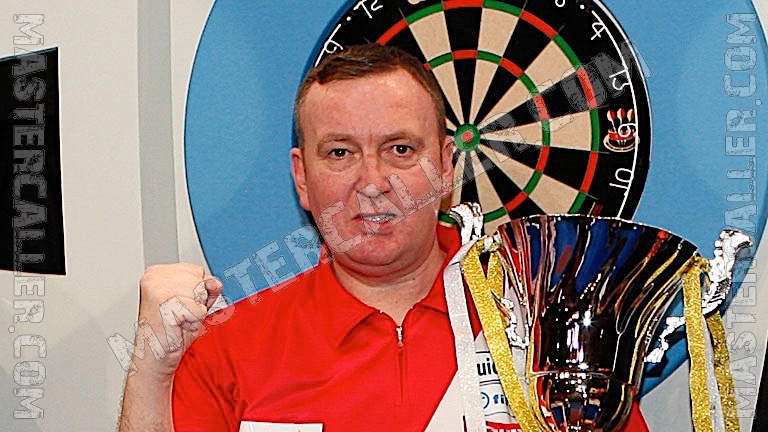 The number one of the world Glen Durrant wins the first Finder Darts Masters title. Defending champion Jamie Hughes does not survive the group stage this year. He beats Brian Dawson, but loses with too a margin to Andy Fordham. The Viking was the main attraction at this edition of the tournament; he got a wildcard of the organization after he had been able to qualify for the Grand Slam of Darts earlier this year. Fordham also would not survive the group phase. Durrant won the key match in his group to Scott Waites and then had little trouble with Martin Phillips, Jim Williams and Martin Adams in the final. For Adams this was his third final since the tournament is situated in Egmond aan Zee. He is yet to claim the title there.